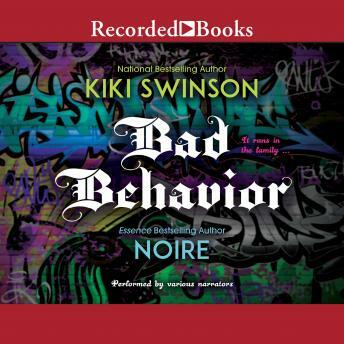 NINE LIVES by KIKI SWINSON: Wild-card Aiden. Dead-shot Ava. Efficient, fast, and brutal, this notorious brother-sister hit team grew up abused, unwanted-and in lethal tune with each other. Killing nine targets in ten days will be their biggest score yet. But as Ava sets up their final target, she falls hard for him and a chance at a normal life. And that's a betrayal she may not live to regret. THE CRUSHED ICE CLIQUE by NOIRE: At first all ghetto princesses Honore and Cucci want is quick cash-flow. But after sexing jewelry distributor Slimy Sam and learning his illegal tricks of the trade, they assemble a crack team of thieves for one dazzling scam. Replacing diamonds with fakes and selling the reshaped real deal on the black market is making them crazy-rich. But when Sam double-crosses them, these diamond divas must survive to steal another day.